Do you want to see an increase in the variety and flexibility of events on offer on the Stray in Harrogate? Yes or no, Harrogate Borough Council need to hear your views by Monday 6th February 2017. Please take a few minutes to fill in the consultation survey. 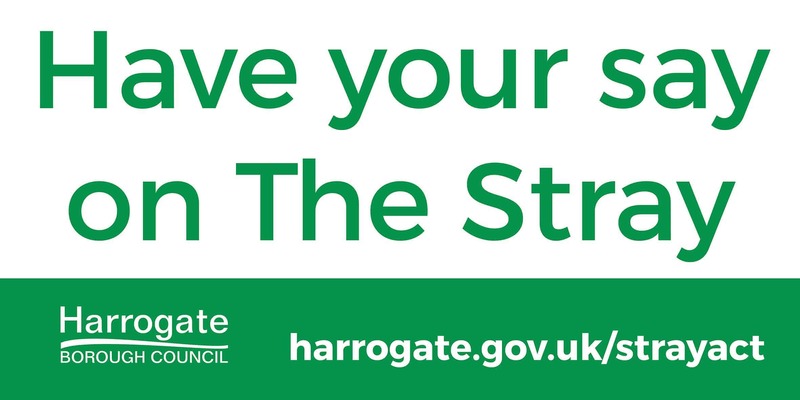 The Stray in Harrogate is governed by the Harrogate Stray Act 1985, an Act of Parliament which restricts the type, number and size of events which can be held on this land. The number of permitted days for events is 35 and the maximum area used at one time is 3.5 hectares (this includes the time to set up and dismantle events). Harrogate Borough Council had to make a special application to Parliament to temporarily amend the Stray Act, so that Harrogate could host the Tour De France in 2014 and this year’s Tour de Yorkshire as they exceed the permitted size of events which can be held on the Stray. This is a complex and expensive process and the government have said that repeated applications are not feasible. We need your views as to whether we should look to amend the Stray Act, so that we can attract occasional large scale events such as the Tour de Yorkshire in the future, as well as increase the frequency and variety of smaller events. The council takes its powers of management, maintenance and protection of the Stray very seriously, and recognises the public desire to see the Stray utilised for community benefit. There is free access to the Stray for residents and visitors and the council has no wish to undermine this basic principle. You can also check out the consultation at the foyer of St Peter’s Church on Cambridge Street in Harrogate and fill in a hard copy of the survey. Copies of the consultation are also available from the council’s offices at Crescent Gardens in Harrogate.